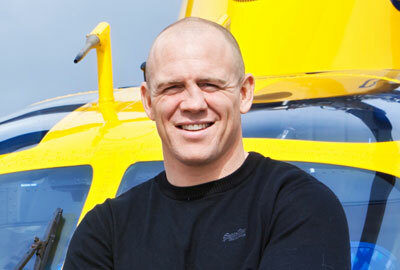 - Former England rugby union international Mike Tindall has become an ambassador for the Air Ambulance Service. Tindall, who has captained his country, has agreed to support the charity's national campaign to raise funds and tell more people about its work. The charity provides emergency medical services in five counties. - The Prince of Wales will become patron of the Canal and River Trust, the charity taking over from British Waterways.It is due to be launched this summer. Tony Hales, chairman of the trust, said: "The prince's patronage is further testimony to the incredible and wide-ranging support the Canal and River Trust has already received." 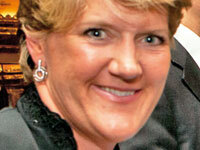 - TV presenter Clare Balding encouraged gay sports stars to come out when she spoke at Stonewall's annual equality dinner at the Dorchester Hotel in London. "If we convince coaches that the sporting world will be improved if people can be out and comfortable, that will translate across to performance," she said. Balding, who attended the event with her partner, Alice Arnold, was among a number of celebrities who helped raise £393,000 to support the charity's Education for All campaign, which tackles homophobic bullying in schools. - Former EastEnders actor Kim Medcalf has become a patron of a new charity, OC Support. It has been set up to help people affected by obstetric cholestasis, a liver condition suffered by pregnant women. - Motorcycle racer Guy Martin is judging a Grow Your Own Sideburns competition in aid of Spinal Research. People are being urged to send in photos of themselves displaying facial hair. The winner will be treated to a day out at Silverstone.